Features: A prim and proper touch of fashion for a young girl. 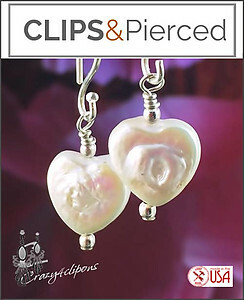 Sweet freshwater pearls shaped as hearts dangle off a full Sterling Silver components. 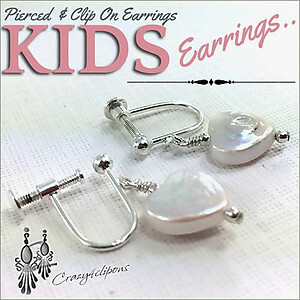 These earrings are small and great for a child (6+ years). They look great with loose hair, pony-tails or top-knot hairstyle. Absolutely adorable for a flower girl for the perfect wedding look. Also great for Petite brides as well!